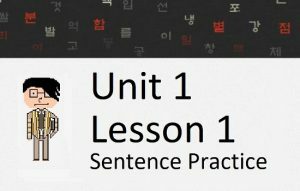 In this lesson, you will learn how to add ~거든(요) to the end of a sentence or to connect two clauses. Like many grammatical principles in Korean, the meaning of ~거든 depends on the situation and context of when it is used. 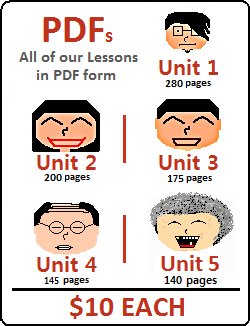 In this lesson, I will break down all the possible meanings of ~거든(요) and explain their usages. Let’s get started. Why don’t you want to go now? Why are you wearing slippers? Why don’t you accept money? 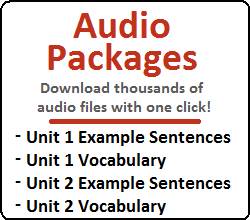 The examples above aren’t really full sentences in English or Korean, but you will commonly hear them uttered given the correct context leading up to them. = These days I am going to bed too late. Because I have so much work. In both situations, you can see that ~거든(요) is used to provide information to the listener that the listener doesn’t know yet. In a sense, this is the opposite function of ~잖아(요), which was discussed in the previous lesson. In the example sentences below, I made it so the speaker provides the prior context that warrants him/her to say a sentence with ~거든(요). Again, it’s also possible that this information could be provided by another person. 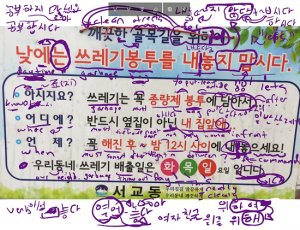 This was done just for simplicity, and so that you can specifically see that ~거든(요) is used to provide some sort of new information that wasn’t previously known to the listener. 문을 닫았어요. 이제 냉방 주이거든요. = I closed the door. Because the air conditioner is running. 셔츠를 입어야 될 것 같아요. 이두근이 너무 크거든요. = Looks like I’d better put on a shirt. Because my biceps are too big. 이 제품이 인기가 많아요. 품질이 아주 좋거든요. = This product is popular. Because the quality (of it) is very good. = We need to go outside today. The weather is very bright and clear. 트럼프 대통령이 미국과 멕시코 국경에 벽을 못 세워요. 국경이 너무 길거든요. = Trump can’t build a wall on the border between America and Mexico. The border is too big. 물속에 안 들어갔어. 너무 무서웠거든. 그 셔츠를 벗었어요. 얼룩이 셔츠에 생겼거든요. 내가 멕시코 경찰에 잡혔어. 국경선을 넘었거든. 이 화창한 날씨를 보니 기분이 아주 좋아요. 2주일 동안 비가 끊임없이 왔거든요. = I’m so happy to see this clear weather. Because it rained constantly for two weeks. 이제 직원들이 부장님을 아주 잘 하고 있어요. 부장님이 아직 자기 후계자를 지명하지 않았거든요. = Everybody is being nice to the boss now. Because he hasn’t chosen/designated his successor yet. = We need to get insurance. Because we won’t be able to get medical treatment there. = Don’t try cigarettes (smoking). If you try it just once, you’ll get addicted. = I’m Canadian. So, I can speak French as well. I haven’t done that work yet. So, I’ll probably have to go to the office and do it. = I finished all of my work yesterday. Therefore, I have nothing to do today. 오늘 친구를 만나러 서울 갈 거거든요. 혹시 같이 갈래요? = I’m going to Seoul to meet a friend tonight. Would you like to go together? = I marked it on the calendar. Don’t forget, and make sure you come that day. It looks weird sometimes when you translate these sentences into English simply because there is no perfect definition for certain grammatical principles. The meaning of “providing information for the upcoming sentence while implying a slight meaning of ‘because’” is the best I can do in this case. In addition to this meaning, ~거든 can be placed between two clauses to have the meaning of “if” or “when” similar to ~(으)면 or ~ㄴ/는다면 that you learned about in Lesson 43. The difference is that ~거든 is more usually used when the second clause ends with an imperative conjugation (when somebody tells somebody to do something) or some other form of suggestive ending. 바지가 너무 크면 교환해! = If the pants are too big, change them! 바지가 너무 크거든 교환해! = If the pants are too big, change them! 숙제를 다 하거든 알려줘! = Let me know when you are done your homework! 숙제를 다 하면 알려 줘! = Let me know when you are done your homework! All good with what you have learned in Lessons 84 – 91? Why not take our Mini-Test where you can test yourself on what you learned in those lessons! If you think you are ready, you can go directly to the next lesson (Lesson 92).